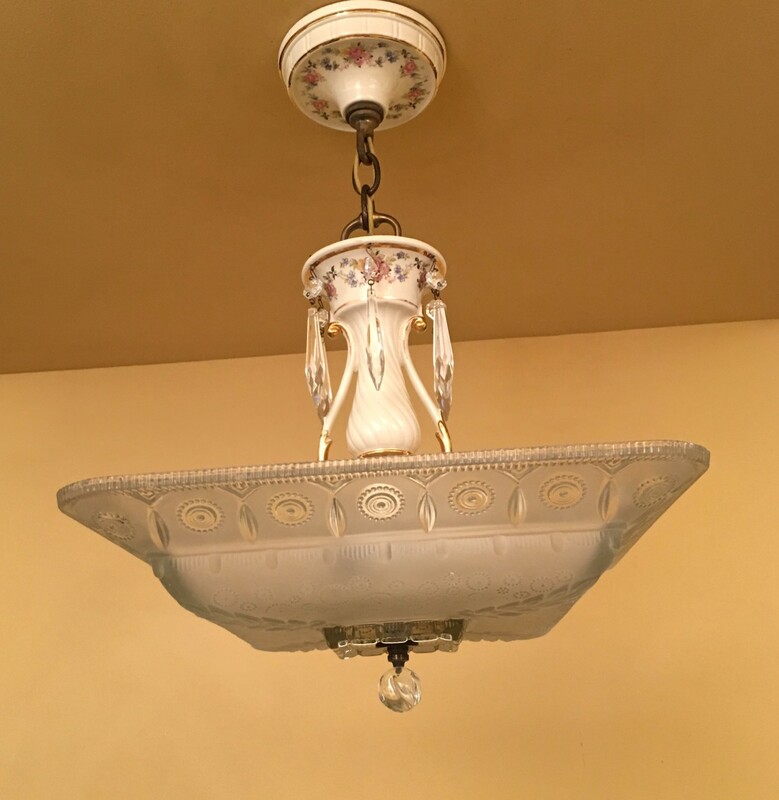 A rare crystal chandelier by Porcelier! The shade! Oh my! It is square! It is 14-inches from side-to-side, and 18-inches diagonally. 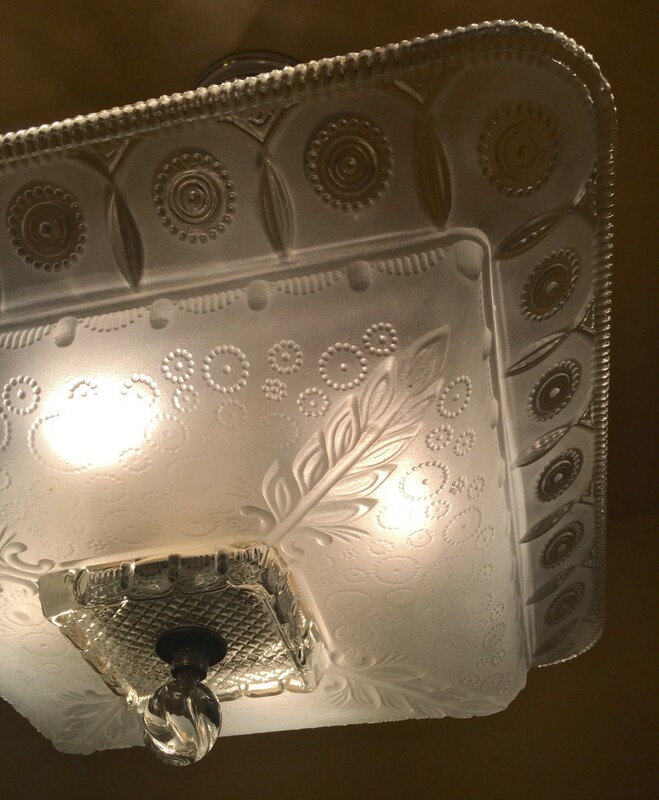 It is also beautifully, stunningly molded out of thick frosted white glass, and with molded patterns. Wow! The finial is spectacular. It’s a glass sphere with a swirling design, like a miniature tornado! I love it! Each Porcelier finial was hand-blown so no two are exactly alike. The stem is porcelain (!) with brilliant gold highlights and incredibly pretty and detailed flowers. Wow! Porcelier at its best. There are also six crystal drops. Above the stem is a solid brass flourish which hangs from the chain. Very nice. Even the chain links are original. 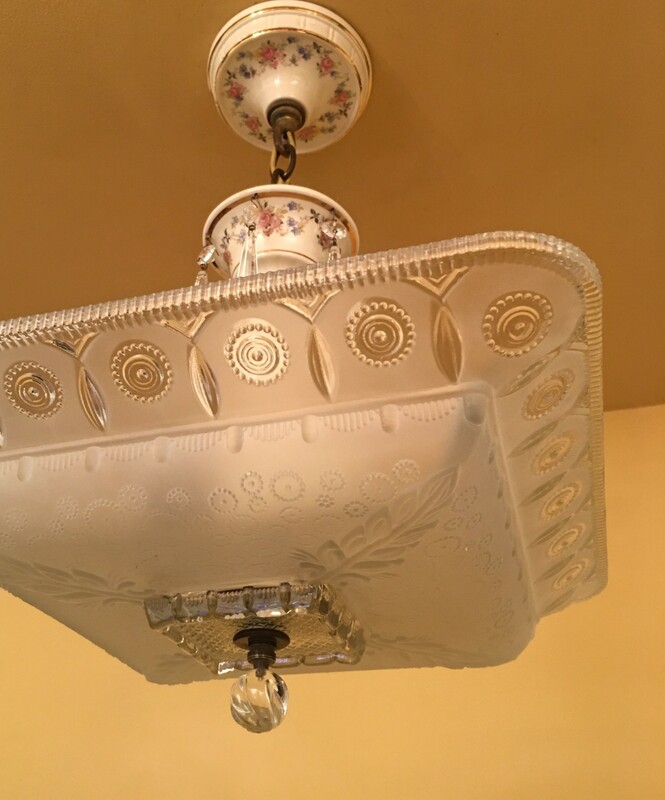 The canopy is also porcelain, and, like the stem, features brilliant gold trim and intricate flowers. The shade really comes alive when lighted. 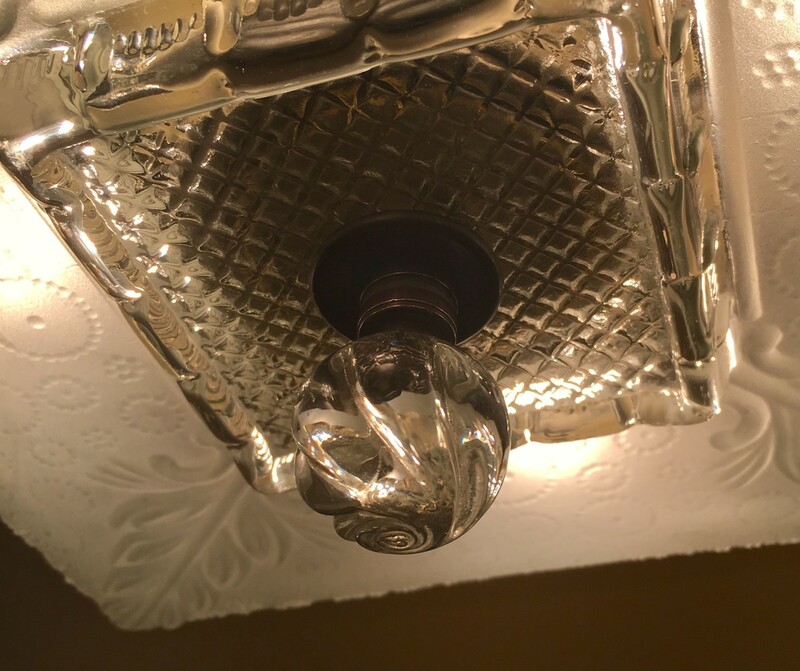 To me, fixtures like this should be in a museum. They are of such a quality, and of such superior design (the details, proportions, and overall look), that we will likely never see such work again. There’s no company making comparable fixtures today. 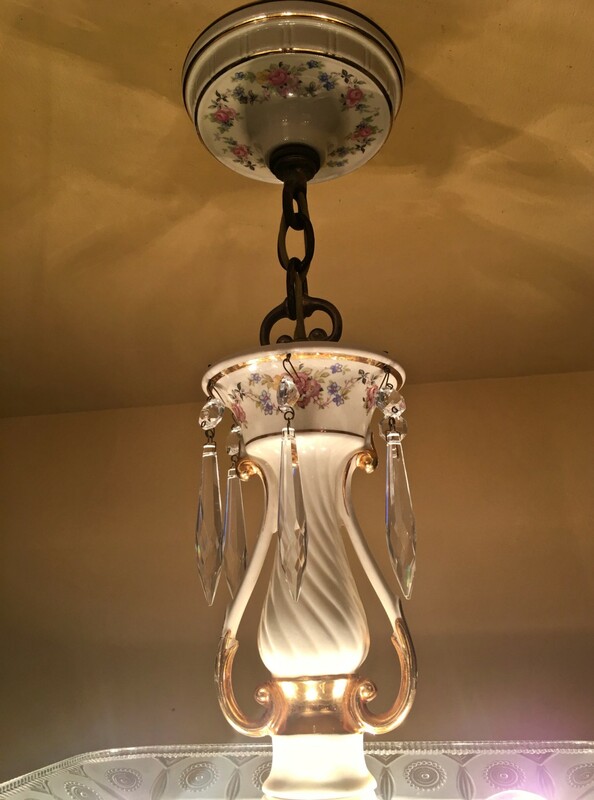 The fixture was also wholly made in the USA. Remember that far, far away time?